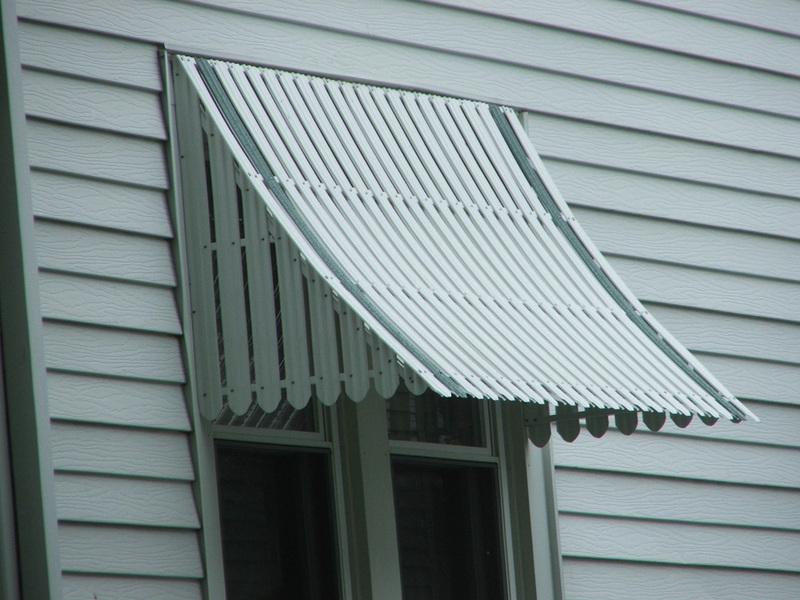 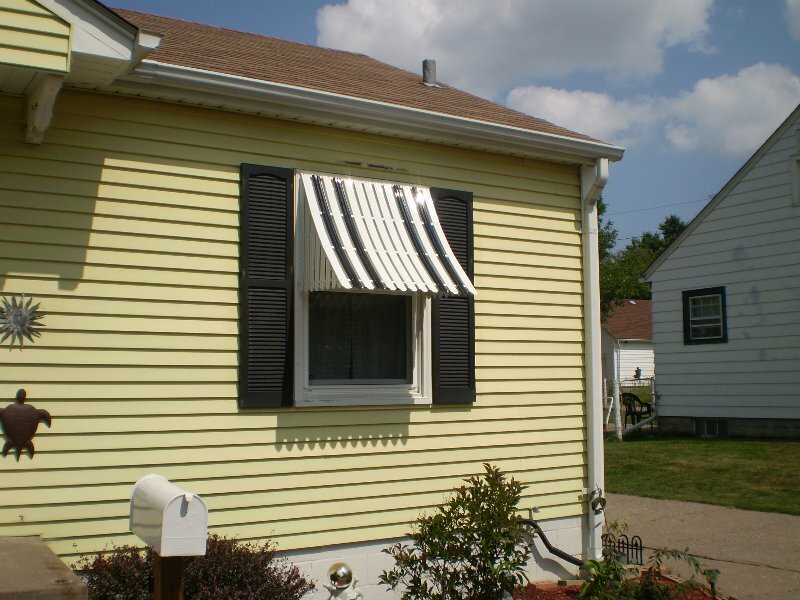 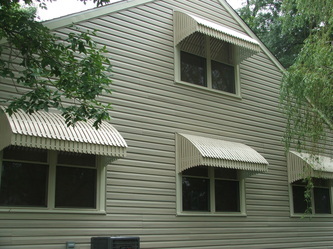 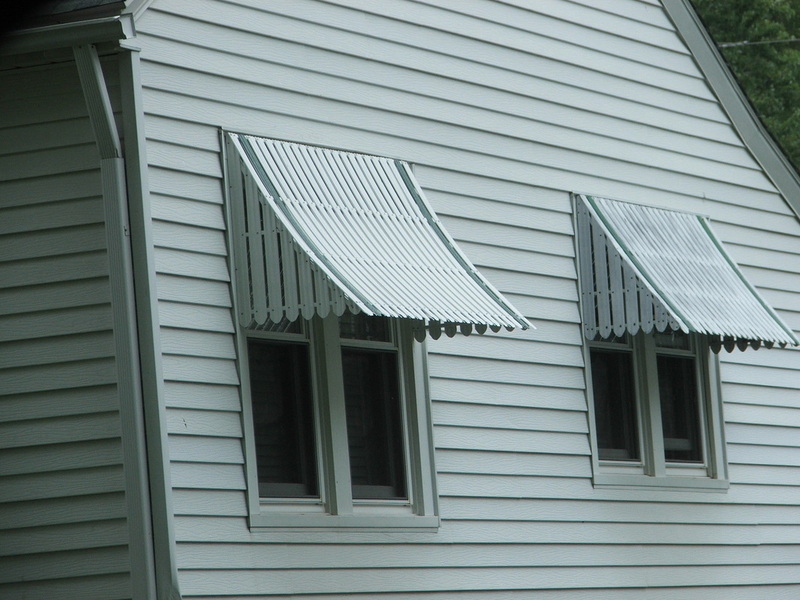 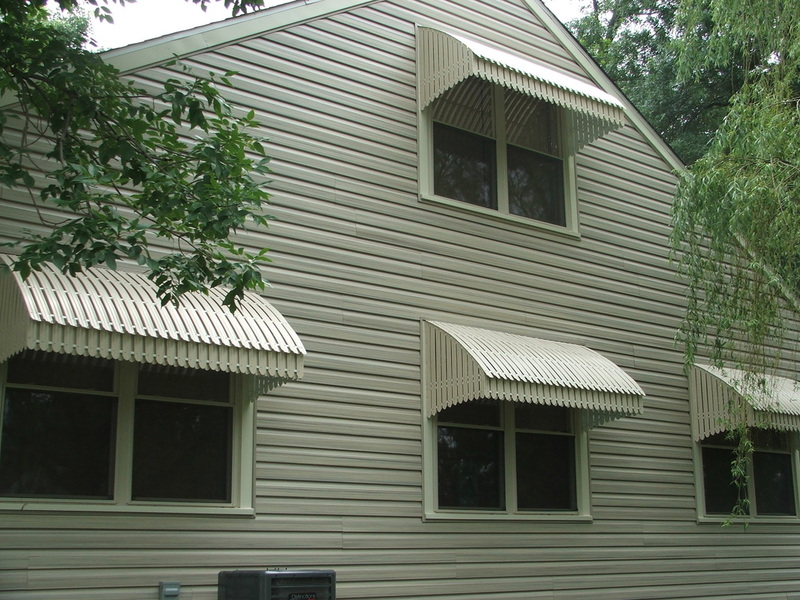 Weather Whipper Aluminum Awnings for windows are a 2 1/4" slat ventilated. 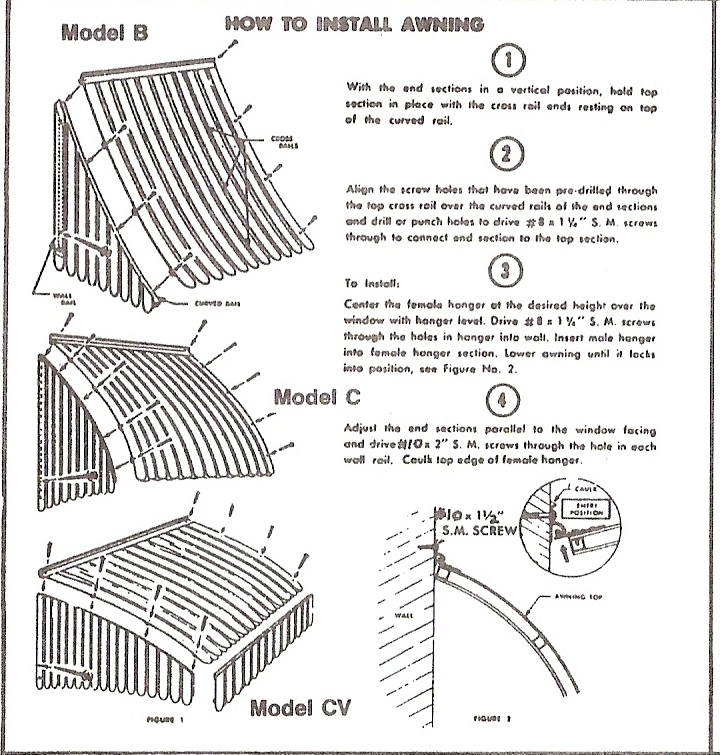 Designs are CV, C, B, and BV. 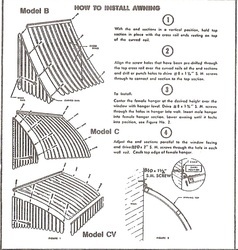 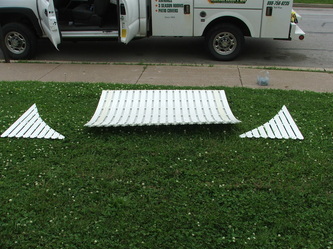 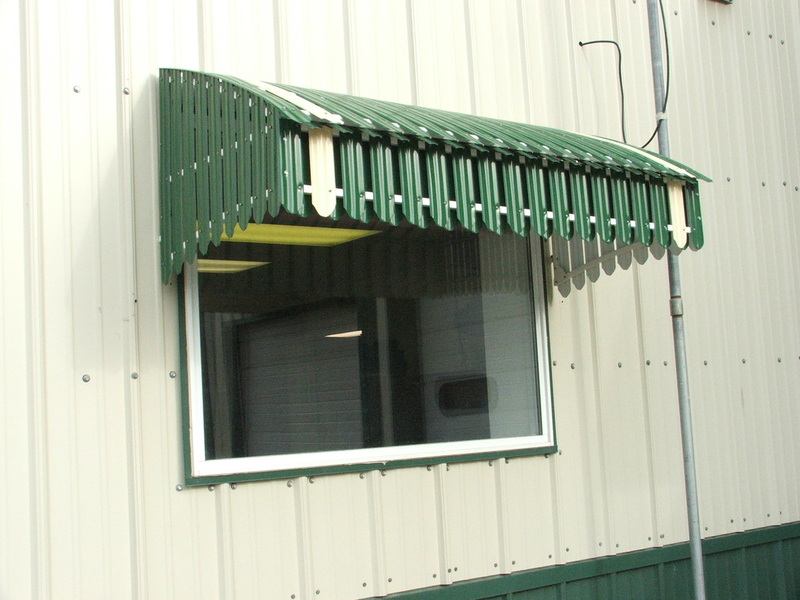 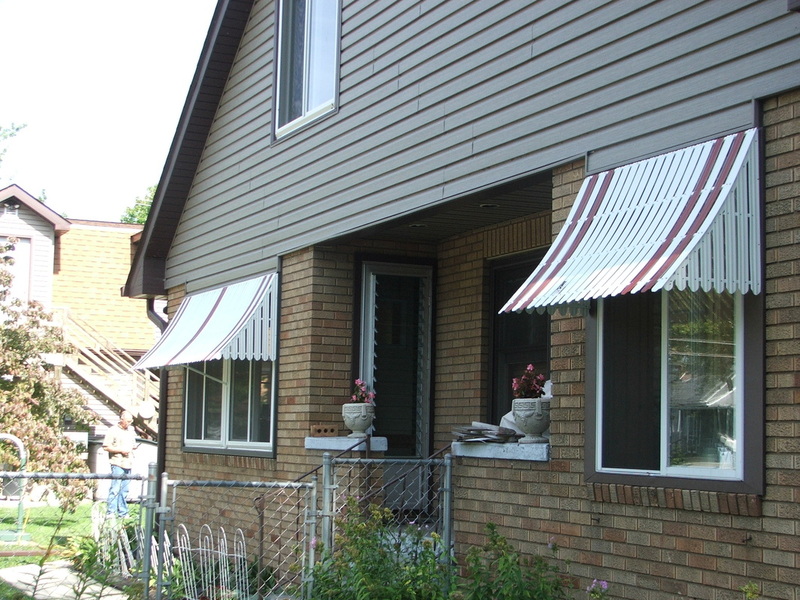 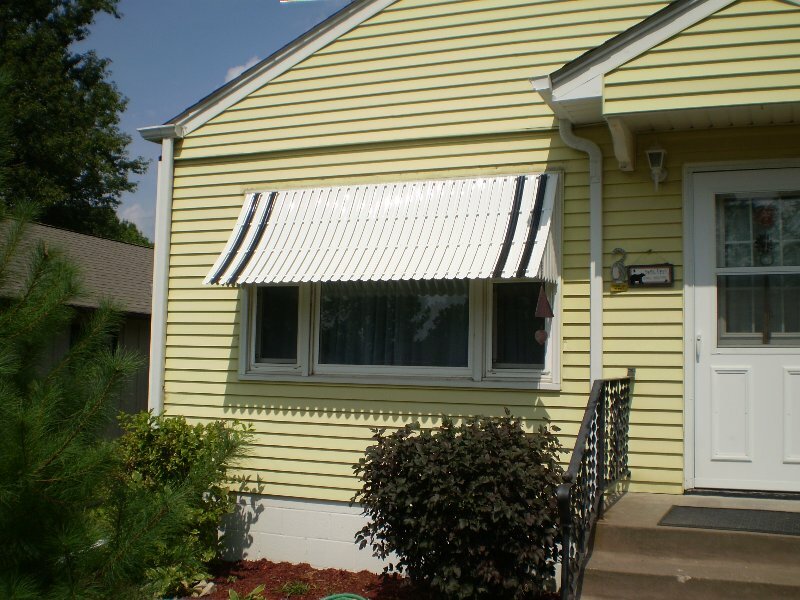 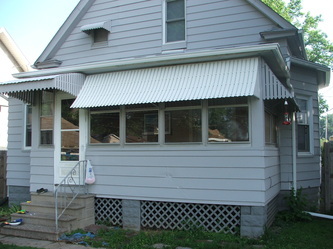 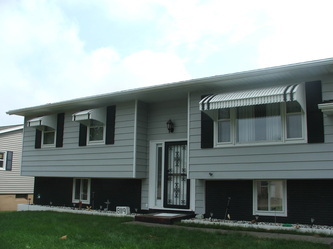 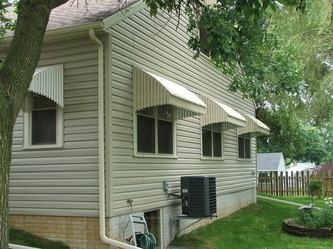 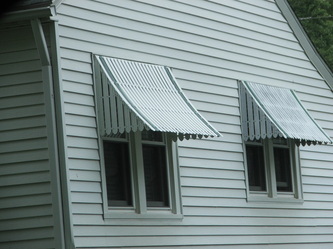 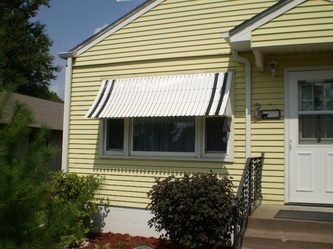 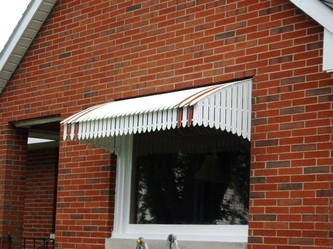 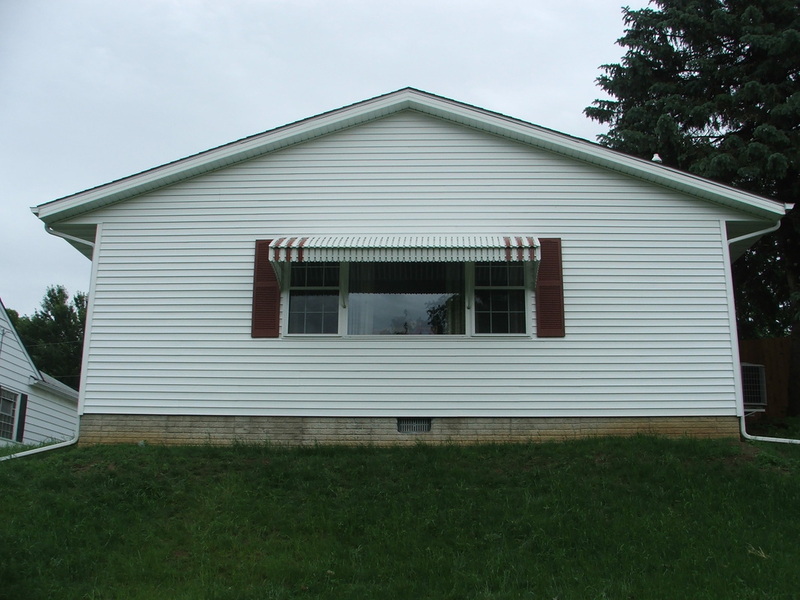 CV awnings are convex aluminum awning rounded at the top. 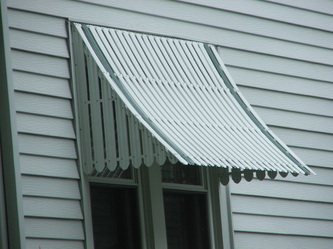 C awnings do not have a valance and perfect for casement and double sash windows. B awning are concave and the most popular awning we sell. 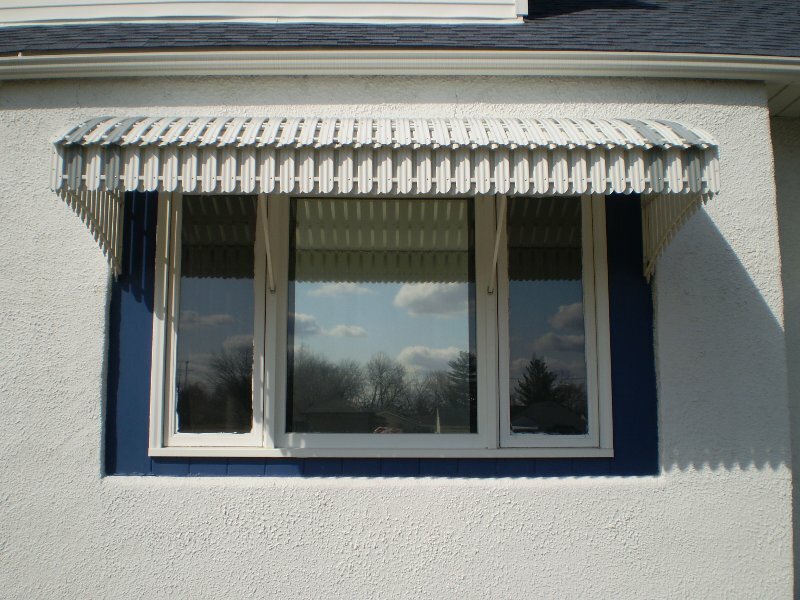 The design is perfect for a tall window. 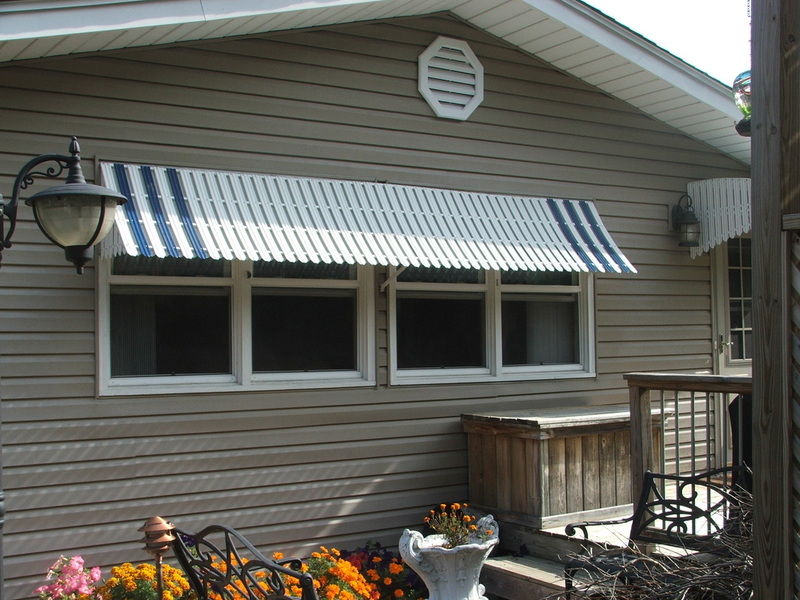 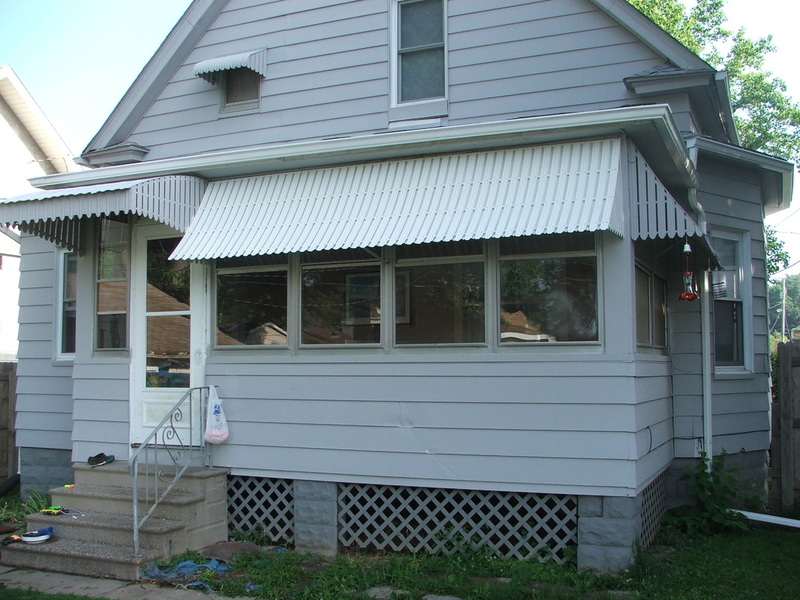 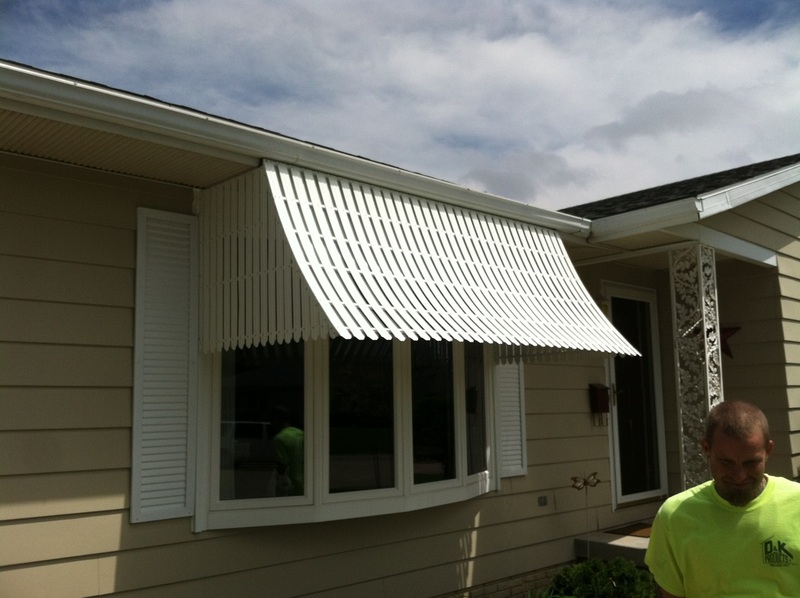 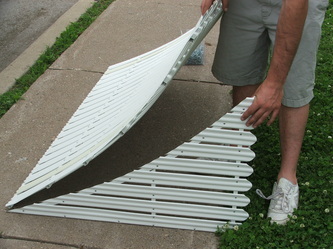 BV Awnings are concave aluminum awning with a front valance.